How does one describe Nitish Kumar: an opportunist or a shrewd politician who loves to indulge in political brinkmanship or principled politician at least when it comes to corruption? Depending on your viewpoint, he fits any (or all) of these descriptions. Yet, all said and done, he stands tall among politicians of Bihar. His walking out of ‘Mahagathbandhan’, a three-party alliance which ran the government for 20 months since November 2015, or his joining hands with the BJP and its alliance partners to form a government within hours of resigning from his chief ministerial post, has, however, fuelled concern among those who looked at him as a principled politician. He was a darling among the country’s ‘secular brigade’. In 2013 not only did he oppose Modi’s projection as NDA’s prime ministerial candidate, he also removed all BJP ministers who were part of his cabinet. Thus he ended a 17-year alliance with the BJP. 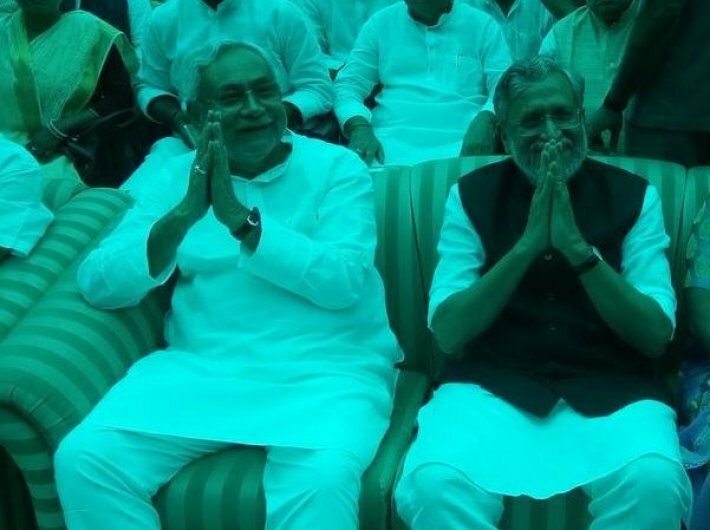 On the other hand, despite being highly critical of Lalu Prasad-led RJD and the Congress, he formed an alliance with them to end Modi’s winning spree in one after another assembly polls. Their coming together pushed aggressive and forceful BJP to the third position in the Bihar assembly polls, thereby emasculating the saffron party of its fiery nerves and any chance to form a government in the state. Nitish Kumar, known for administrative acumen, was recognised as a secular force. Till the Uttar Pradesh assembly elections, the narrative spun by sections of the media and the opposition except the Congress was that Nitish Kumar would be the opposition’s prime ministerial candidate for the 2019 Lok Sabha polls. This projection was basically premised over his non-controversial image. All this has come under scanner after his re-bonding with the BJP. 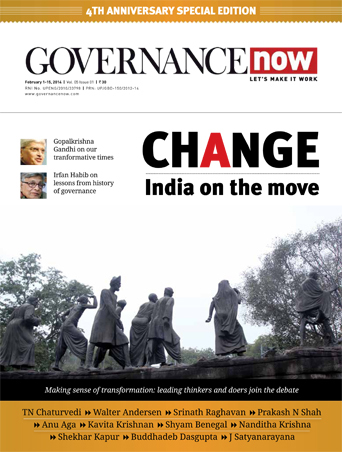 Liberal elements worry the most about the development as it has taken place at a time when parts of the country are in the grip of heightened Hindutva assertiveness with incidents of mob lynching of minority people by so-called gau rakshaks (cow protectors) becoming a norm during the past two-three years. Jharkhand, Rajasthan, Haryana, Uttar Pradesh and Madhya Pradesh have witnessed incidents lynching of members of minority and caste groups by the cow vigilantes. It is not that Bihar didn’t see communal tension under the JD(U)-RJD-Congress government. 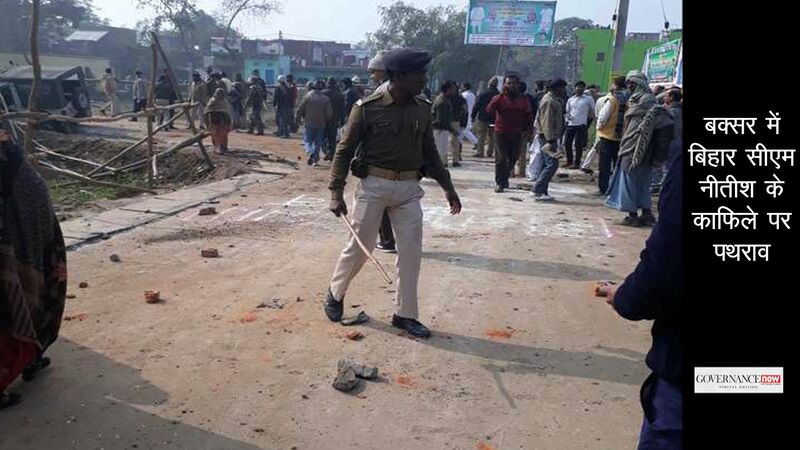 On April 4, Nawada town witnessed clashes after some anti-social elements had torn Ram Navami posters. Violent clashes had erupted between two communities in Bihariganj of Madhepura district on October 12 last year. A few months before this incident, Saran was in flames after an objectionable video of Hindu gods and goddesses had gone viral in social media. Going by these incidents, it is hard to say that Bihar has remained out of bound for trouble-mongers on either side. Now when Nitish has again formed a government with the support of the BJP-led NDA, it has to be seen whether right-wing Hindu groups remain under check or become assertive. The districts to be watched would be those located on the border with Nepal and Bangladesh: Kisanganj, Katihar, Purnea, Araria, Madhepura, Supaul, Forbisganj and Saharsa. The border belt has a large population of Muslims. Significantly the border belt has been peaceful and not seen riots of the scale of the Bhagalpur (1989) or Biharsharif (1981).